Chances are, you are already doing Facebook video. It’s also possible that you could use some advice and insights into what’s possible and how you can do it even better. Either way, you will love this webinar on social video delivered by Mari Smith, the Premier Facebook Marketing Expert and one of the most influential social media marketing thought leaders. So, why video on Facebook in the first place? 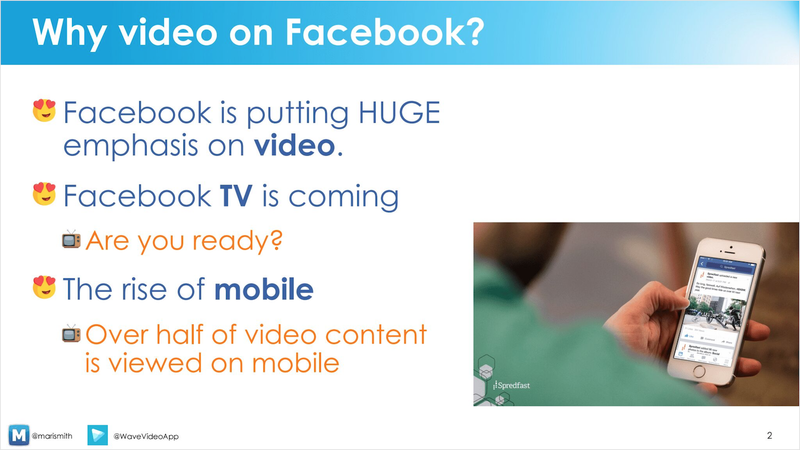 According to Mari, Facebook is putting huge emphasis on video. They’ve been saying, by the end of summer Facebook TV is coming. So it looks like they are going to be competing with Amazon Prime, Hulu, Netflix and other big guys. Facebook really wants to be your choice for television. What does it mean for you as a business person and marketer? Trend 1. Ad breaks are coming to Facebook. That is, when you are watching a video, and all of a sudden an ad comes in. That’s what Facebook is slowly testing, and we should be prepared. What you can do is you can go live, create live videos, and other exciting video content. Over half of video content is viewed on mobile. Over 40% of video views come from shares. Trend 2. The rise of mobile. Over half of video content is viewed on mobile. Over 40% of video views come from shares. These stats only prove the importance of creating content that’s highly shareable, valuable, funny, educational and entertaining. Facebook calls such content “thumb-stopping”. 90% of information transmitted to the brain is visual. Visuals are processed 60,000x faster in the brain than text. Video is engaging: it catches the eye, stops the thumb, you name it. If a video ad is enjoyable, people are 97% more likely to purchase the product. So, we all know that video is a game changer, right? But why don’t we create more of it for our business? Here’s why: 43% of marketers said they would create more video content if there were no obstacles like time, resources, and budget. 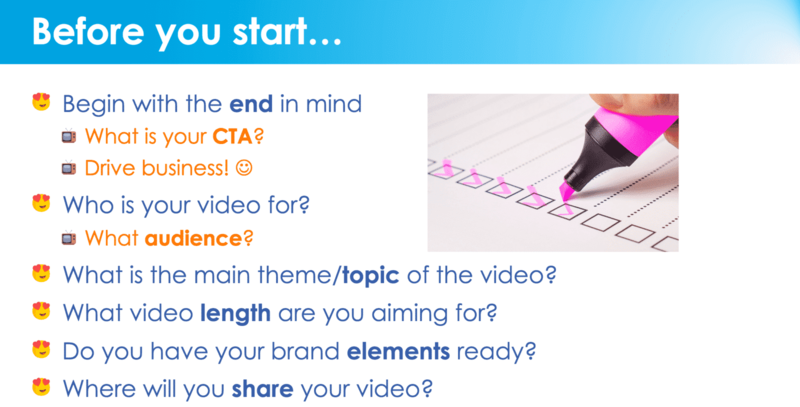 Oftentimes, we simply don’t know where to start or how to make a video. 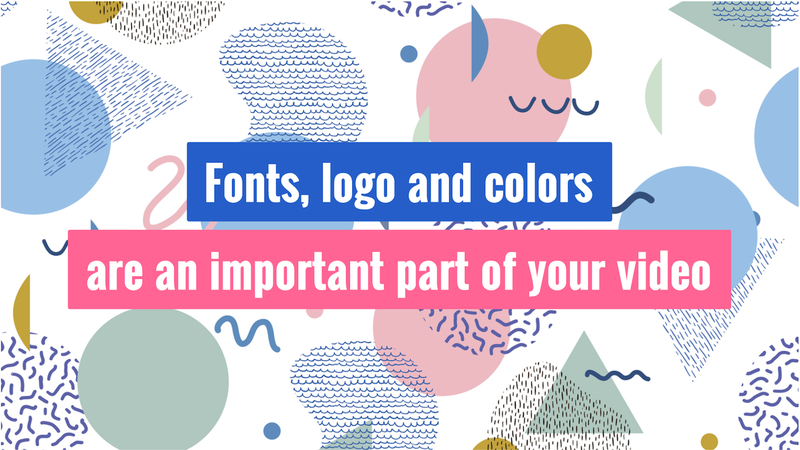 We think it’s just easier to write a blog post instead, so that’s what we end up doing. Well, you might want to reconsider. 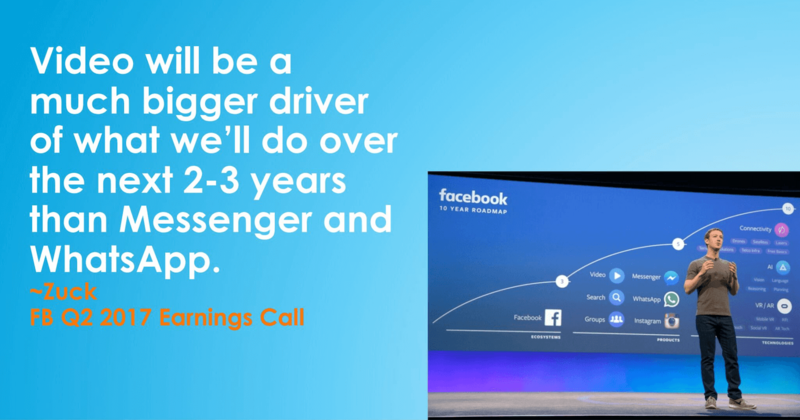 Mark Zuckerberg points out that video will be a much bigger driver of what Facebook will do over the next 2-3 years than Messenger or Whatsapp. Apparently, Facebook is putting a lot of faith into video, and so should you. When making a video, you definitely put a lot of effort into it. As Mari Smith says, if you are also planning to put some budget behind it and promote it, it’s best to create videos for both Facebook and Instagram. So, you might want to leverage the video you create and make the most out of it. The question is – how? Tip 1. Optimize for mobile. You might want to create videos that are square and portrait. These two forms are both awesome for mobile, although there are some studies that prove that square videos perform better: people are 67% more likely to watch a square video to completion than they are to watch a horizontal one. Tip 2. Develop short-form, ‘snackable’ content. The attention span of modern social media users is getting shorter over time. So if you really want to grab and keep your viewers’ attention, go for shorter video pieces. A good example is Tropicana. They tested 6-second vs 15-second videos, and the 6-second videos won out. If you look at the video content that the company posts on their Facebook page, you’ll notice that almost all of their videos are quite short: up to 15 seconds long. And they perform outrageously well. Evokes emotion. There’s a reason why Facebook brought all those reactions to the network: people want to give thumbs up, love and “ha-ha” to the videos they watch. And by the way, the heart is the most used emoji! 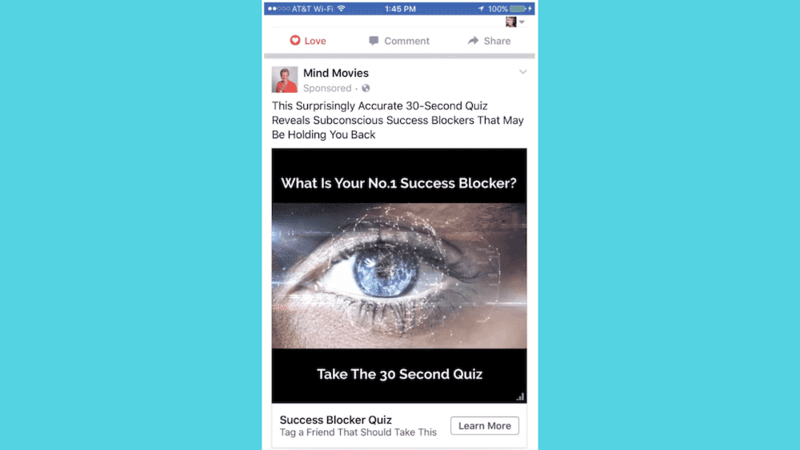 Check this square video ad example by Mind Movies. Notice how it’s actually a landscape video but with a text bar at the top and bottom. But that’s actually a good thing if you have these questions. It’s a different story if you just see an image and go, “Ooh, that’s a nice picture! Oh, and I can add this nice video clip, too!” This approach might not work too well. What’s your CTA? What action do you want people to take when they finish watching your video? When you put a budget behind your video and upload it to Ads Manager, what will the call to action button say? Drive business. Did you collect more leads? Did you make more money and sell? 2.Who is your video for? What’s the audience? 3.What’s the main theme/topic of the video? 4.What length are you aiming for? 5.Do you have your band elements ready? Where will you share your video? Consider this: if you are going to share your video on Instagram, it would ideally have to be square and under 60 sec. 1. Test short videos in square format for ads on Facebook and Instagram. Short snackable videos perform great, as we have seen with Tropicana. At the same time, Facebook says they are favoring longer form videos. At that time “longer” meant 90 seconds or longer because this is when they’re going to start adding ad breaks in. 2. Select strong visuals. Use your own footage, stock footage or even combine both. Apps like Wave provide access to the rich library of beautiful video clips at your disposal. 3. Storyboard your message. Even if it’s just written on a piece of paper, you still might want to consider having a plan of your video before you begin making one. KISS: keep it short and simple. One clear simple message is always better than a long overpacked video.